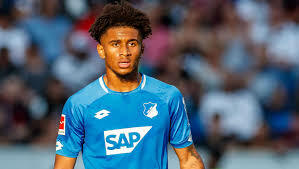 Reiss Nelson reopened scoring for Hoffenheim in their 2-0 victory over Hertha Berlin on Sunday as they climbed into Europa League spot. The Arsenal loanee made his return from injury with a bang by putting his name on the scoresheet after a very long drought. He came in as a substitute to add to Nadiem Amiri's first-half effort, thereby sealing all three points for the Bundesliga outfit. Nelson initially had his goal ruled for offside but the timely intervention of Video Assistant Referee made it count. Elsewhere, fellow loanee, also playing in Germany, made his debut since joining RB Leipzig in January. Nelson revealed in a recent interview that his plan is to break into the Arsenal first team by the beginning of the coming campaign.